Pope Francis launches the “Programming for Peace” initiative, during a visit to the new Rome office of Scholas Occurrentes. Programming for Peace is a project that involves experts in new technologies, and will allow millions of young people around the world to “program” with an ethical perspective, committing themselves ever more strongly to the search for peace. The initiative was launched by Pope Francis himself, during a visit to the new Rome offices of Scholas Occurrentes on Thursday afternoon. The objective of the Scholas network is to involve public and private schools in the realization of a dream: the transformation of the world into a classroom without walls, where all children, especially the poorest, can live and learn under the sign of peace and the common good. Today, Scholas is associated with over 450,000 educational agencies, located in 190 different countries. 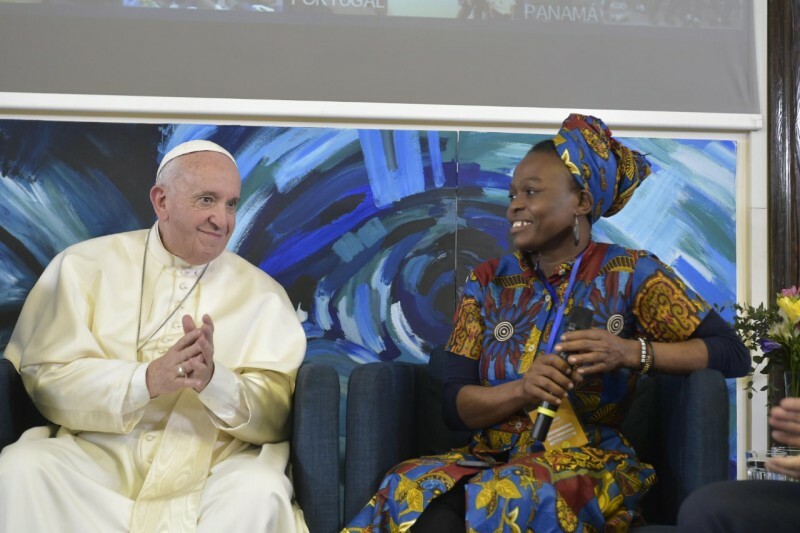 During his visit on Thursday, Pope Francis held a video-conference with young people from around the world, and listened to testimonies from children who had participated in the artistic, sport, and technology programs promoted by Scholas. Taking part in the conference were young people from Panama and Portugal, from Romania, and from Italy. During the conversation, Pope Francis encouraged everyone to engage in the important, yet at times difficult, work of “networking”, by sharing skills, professionalism, and creativity. Taking up an expression of one of the participants, the Pope said. “Scholas is a seed” of peace, fraternity and dialogue. Young people, he said, often do not find good role models, because they look for them outside of their communities. Scholas, on the other hand, awakens young people themselves, and encourages them to follow leaders that arise within their own communities. “We have seen how in these days young people from different cities of the world have taken to the streets to defend the environment, to defend the earth. The young have an unimaginable power, they are creative”, Pope Francis said. He insisted on the need to embrace their creativity, and not to “domesticate” them. Young people “are not the future”, he said. “They are the present, the today, the ‘now’ of God. We must correct this expression”. But he warned that, although it is good to protest what is wrong, this is not enough – we must also build up what is positive. Building up means making mistakes, he said, “but it is better to make mistakes by doing something, than to commit them while standing there with their arms crossed”. Pope Francis also called on the young people to cultivate dialogue with the elderly. “This is the challenge of today that young people have to face”, he said: “the dialogue with the elderly; because if young people ‘go it alone’, they lose their roots, they lose their sense of history, they lose their sense of belonging.” On the other hand, the Pope said, if the old are not able to give these things to the younger generations, “they feel isolated, and die of sadness”. Alluding to a prophecy from the scriptural book of Joel, Pope Francis said that only by helping one another will the “old men have dreams and the young men prophesy”. Pope Francis’ encounter with the young people ended with a symbolic gesture: some of the children filled vessels with blessed water from a spring, and distributed it to all those present. “May God make us living water!” the Pope prayed. He then returned to the Vatican, after greeting each of the children present personally.